Who stalks the Panther? In the Black Panther movie, T'Challa goes up against his mirror image - Killmonger! The black-and-gold villain is ready to do battle with Black Panther, and measures approximately 9-inches tall atop a diorama base. 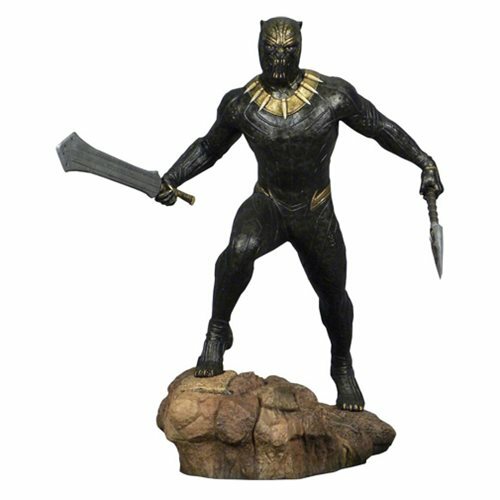 Pair it with the Black Panther (sold separately) diorama to have them face off in combat! Packaged in a full-color window box. Sculpted by Rocco Tartamella. Ages 14 and up.